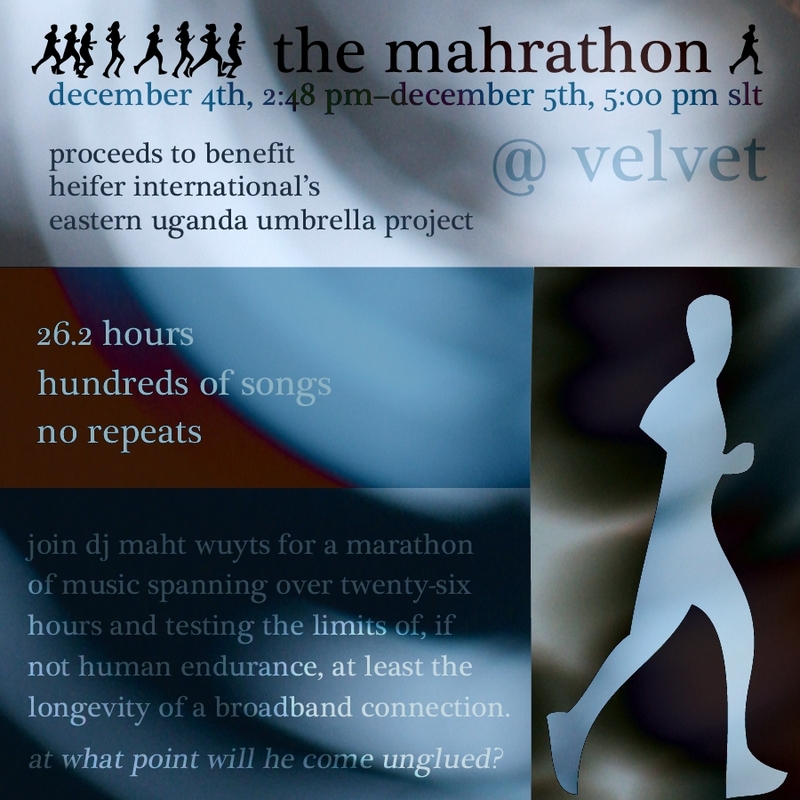 At the Velvet, there is going to be a DJ marathon by my favorite DJ, Maht Wuyts, to raise funds for Heifer International’s Uganda Umbrella Project. No matter what time zone you live in, there’s a time for you to go – it’s 26.2 hours with one DJ playing one set. Hundreds of songs and no repeats. This entry was posted in Second Life on November 27, 2009 by Cajsa Lilliehook.